We will cover more features available under My Digital Desk for Members of Parliament. With each feature addition, our goal is to make the life of MP as easy as possible in everything they do as Parliamentarian; focused more towards representing their own Parliamentary constituency and the Citizens. Durable assets created by using MPLADS funds can easily be shared by Members of Parliament with constituents across the country. From solar street lights to roads and water pumps – sharing of durable assets is as easy as posting a tweet on Twitter. Unlimited quota is available to each MP for sharing their work through MP portfolio option. 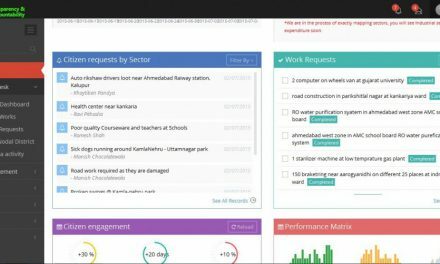 Portfolio gallery is not just limited to Durable assets, but can easily be used for other social activities conducted within Constituency or outside the constituency. MP’s can share portfolio per Parliament, per year – screen shot from the Pilot for Portfolio gallery is below – data shown is test data. My profile for MP is designed to provide personal contact information as well as summarize information on Work requests, Top 10 Active Citizens and committee membership. My profile option in PDOS looks like the following. We have attached a sample screen for Dr. Kirit Solanki, an MP from Ahmedabad West (SC) Parliamentary constituency. Data displayed in the image below is test data. Top 10 Active citizens from MP’s constituency, Committee membership details and easy access to Inbox & Privacy settings is available from My Profile of My Digital Desk for MPs. Work requests summary data on # of Work requests (current or last Parliament of an MP), Completed and the number of Constituents that are following the MP to stay connected. Privacy settings allows you to set various communication settings for constituents, nodal districts and other officials. As Member of Parliament, you can opt out of receiving emails from parliamentary constituencies other than yours. For example: Shri Lal Krishna Advani may only want to receive emails from Gandhinagar constituency (which is by default) – but set such that constituents from Ahmedabad West may not be able to reach him. This is to avoid flooding of unnecessary emails from PC other than where they are elected from. Privacy settings screen shot from the Pilot is displayed below. Data displayed in the image below is test data. MP has the ability to change the password on the account or change the Avatar (default personal photograph that appears under My Profile). Updates to About me and Educational Qualification are available for MP’s – This makes it easier for MP’s to change their personal information, rather than requesting Lok Sabha secretariat for changes to the official websites, which takes long time to reflect. Once MP’s adopt to PDOS, there is hardly any need for personal websites, as access to PDOS is available even if an MP isn’t elected for second term. 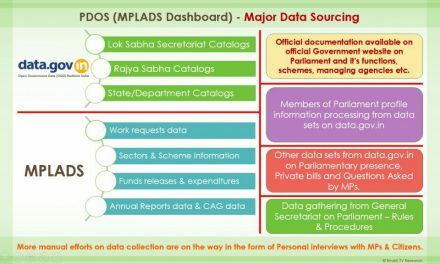 We are working on bringing the data of all parliamentarians since indpendence to provide access to PDOS automatically. Citizens many times are unable to connect with MLA’s, same is the pain MP’s go through. Making it simpler and easier is our Goal. Let’s take an example: A Member of Parliament from Ahmedabad East (Paresh Rawal) wants to connect with MLA’s. By default all MP’s & MLA’s (State of Parliamentary Constituency of MP) – are added as fellow Parliamentarians to whom MP can connect with a click. See following screen shot taken from PDOS Pilot – (marked in red boundary for clarity) – All Legislative Assemblies (MLAs) falling under Ahmedabad East are automatically included, making the connectivity only a click or touch away. This feature is available to all roles within PDOS. 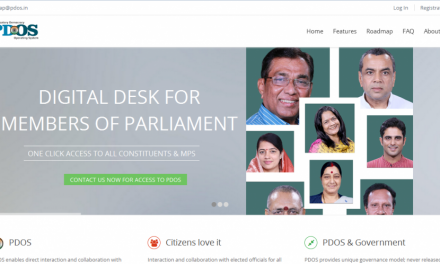 Feature not only enables MP but also Citizens to connect with MLAs without learning any other system. From Municipal councilors, MLAs to MPs – Citizens can connect without any barriers. Durable assets gallery, Personal information updates, Privacy settings, MLA connectivity and many other upcoming features will allow MPs & MLAs to function efficiently in Digital India.